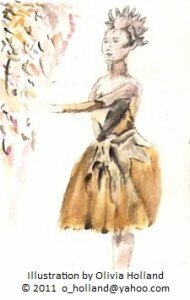 Ballet is an art form that inspires the world, including having a great impact on fashion. For instance, ballet dancers shoes have become a heritage style. A dancer's typical ballet flat shoes are very lightweight designed especially for ballet dancers. As you know, they are very comfortable and should fit like a glove. The designer, Jane Winkworth, had a passion for these ballerinas style shoes. She decided to set up a company designing ballet style footwear. Winkworth's shoes are now recognized globally as a true fashion classic and are known as "French Sole Shoes". Now you can be a stylish ballerina both inside and outside of ballet class! Have a look in your wardrobe and see if you own a pair of ballerina style shoes.